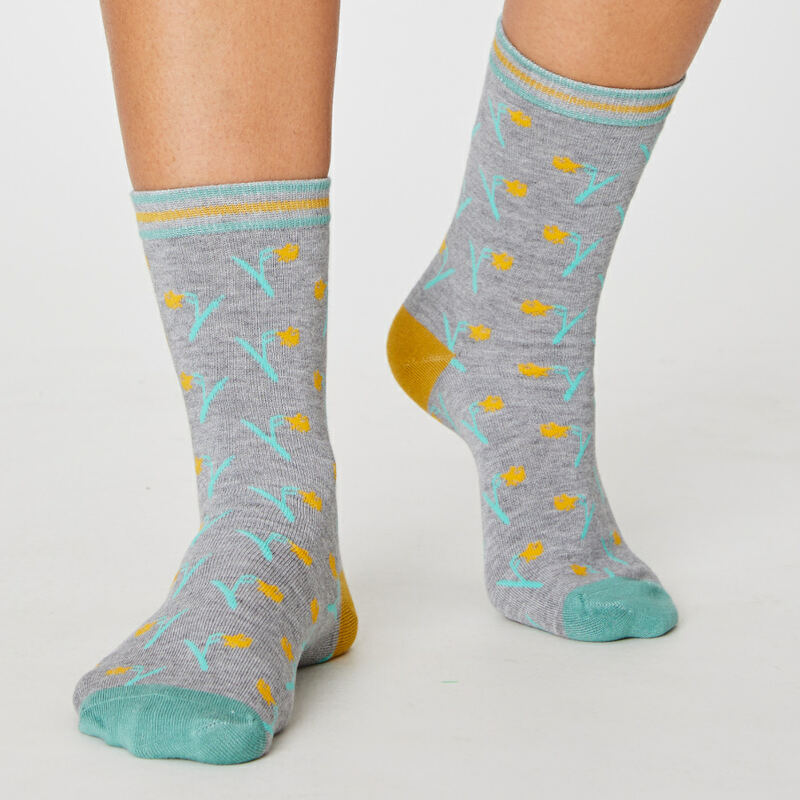 A fun four pack of soft, sustainable bamboo socks from Thought, featuring pastoral nature inspired patterns. 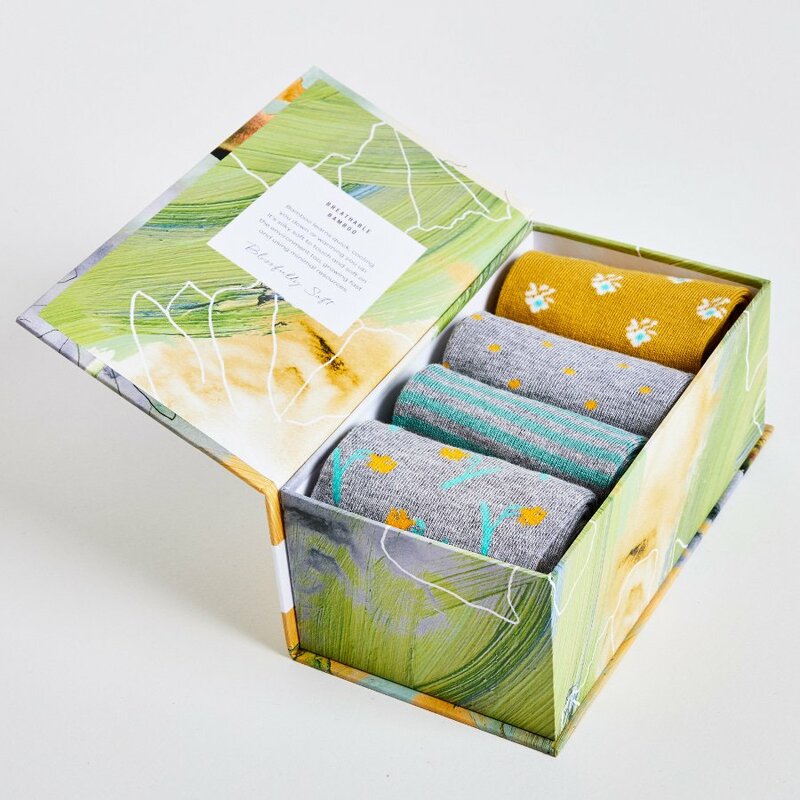 The socks are designed to keep your feet nice and cosy, and are presented in a beautifully decorated reusable and recyclable book-style gift box. 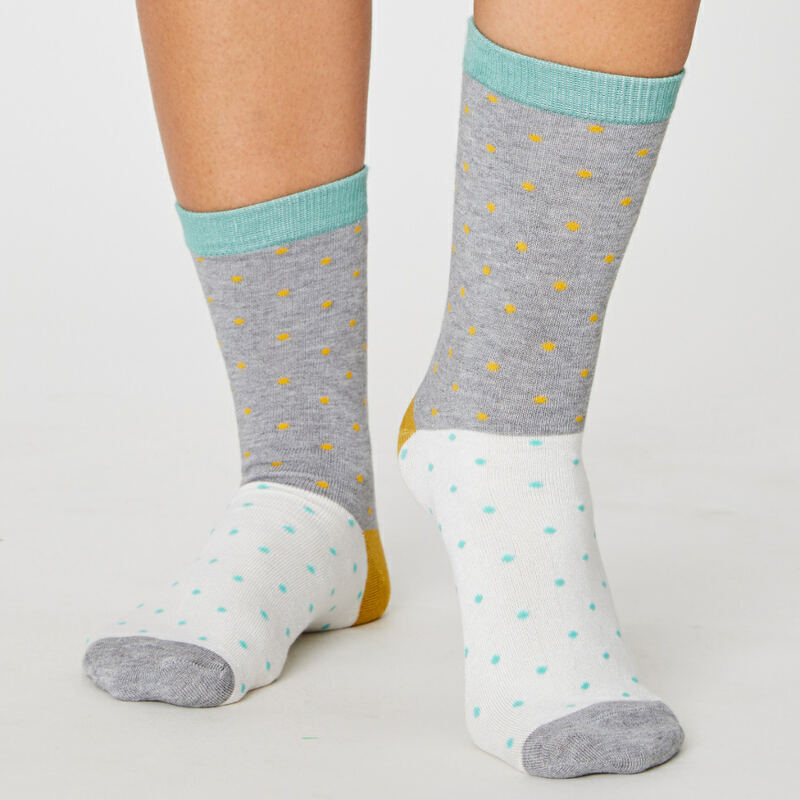 Bamboo fabric is naturally breathable with anti-bacterial and anti-fungal properties, making it the perfect material for socks. The Thought Womens Pastoral Nature's Poet Bamboo Socks Gift Box product ethics are indicated below. To learn more about these product ethics and to see related products, follow the links below. 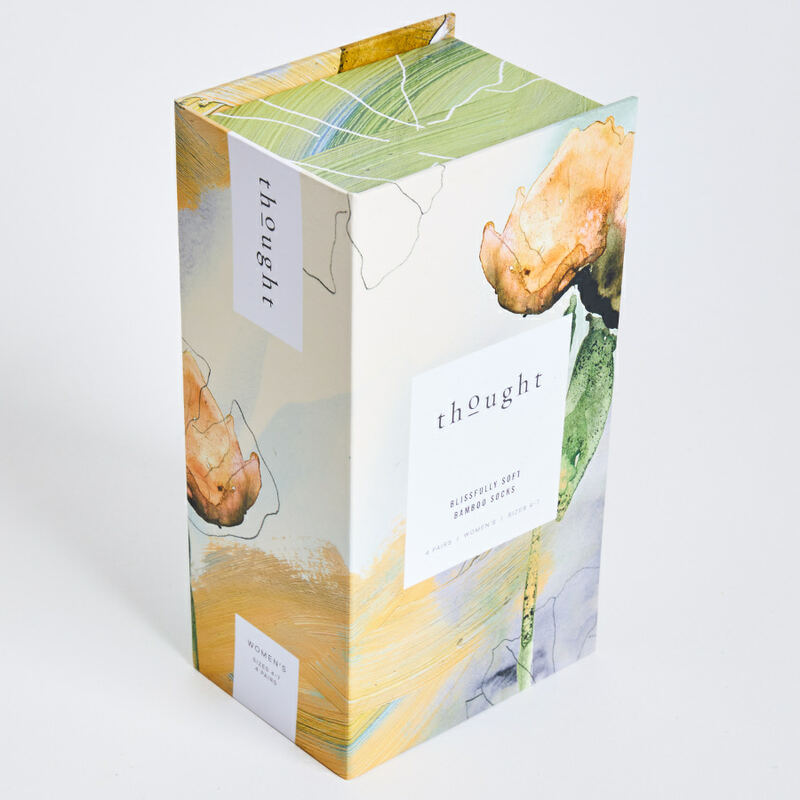 There are currently no questions to display about Thought Womens Pastoral Nature's Poet Bamboo Socks Gift Box.